Really, it doesn’t seem like that even needs to be stated. But I guess you never know. Posted on April 7, 2018, in Photography and tagged 365 photo project, black and white photography, downtown, learning to see, lubbock, lubbock texas, melinda green harvey, monochrome, one day one image, photo a day, photography, postaday, signage, texas, thoughtful seeing. Bookmark the permalink. 9 Comments. 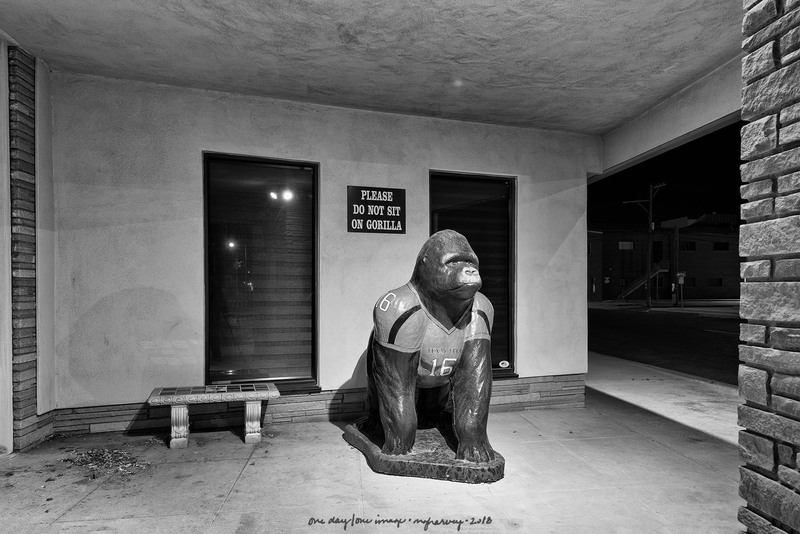 Every opportunity will be taken… including this opportunity to sit on the gorilla. Yes. And of course he IS a personal injury attorney. No one knows. Or if they do, they’re not telling!